The Badderam Eco Luxe Resort & Spa AND (agreeing party to enter their details below). 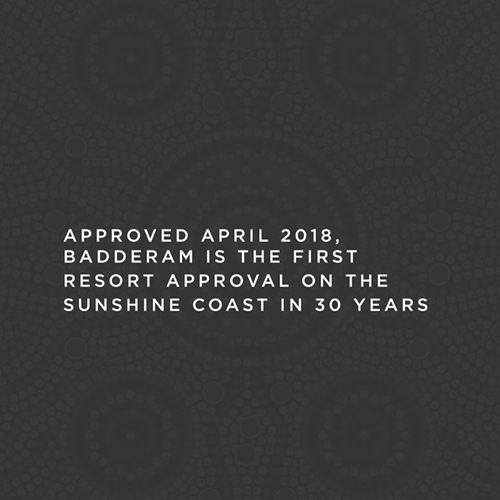 How did you hear about Badderam? A. The Parties intend to exchange information and hold discussions in which any party may disclose Confidential Information (as hereinafter defined) for the potential development of The Badderam Eco Luxe Resort & Spa ("Purpose"). B. The parties do not want either the existence or substance of the materials exchanged or discussions had, to be disclosed to anyone else, without the written approval of all parties. C. Each party wishes to protect its Confidential Information from disclosure or use by the other party, or anybody else. 1. The parties mutually agree that each will not disclose the nature or substance of the discussions to anybody else unless required by law. (c) has been known to the receiving party prior to disclosure of same. 3. Other than for the Purpose, the parties mutually agree not to use, apply or exploit in any way any of the Confidential Information disclosed to each, without prior written consent of the other parties. The parties acknowledge that there is no obligation to grant such consent. 4. The parties mutually agree to hold each other's Confidential Information in strict confidence and shall not, without the written consent of the other parties, disclose, publish or make known the Confidential Information to any person unless required by law. The parties acknowledge that there is no obligation to grant such consent. 5. The parties may disclose Confidential Information to their respective employees, advisers, contractors or agents but only to the extent necessary to carry out the Purpose. The parties agree to instruct such employees, contractors or agents to observe the obligations of confidentiality as set out in Clause 4 as if such people were the parties themselves. 6. The parties acknowledge that the Confidential Information is valuable proprietary property of the parties and that any breach of this Agreement may cause significant loss. 7. The parties expressly agree that any breach of the obligations of this Agreement by the employees, contractors or agents of a party shall be deemed to be a breach of this agreement by that party itself. 8. The parties acknowledge that, in the event of a breach of this Agreement, the aggrieved party may seek appropriate damages in addition to any rights or remedies available to it in law or equity. 9. The parties agree to return within 14 days all reports plans, drawings, listings, notes, correspondence and any other tangible items representing the respective party's Confidential Information, and all copies thereof, upon written request by any party. 10. This Agreement shall remain in effect for a period of two years from the date herein. 11. Clauses 3 to 9 inclusive shall not merge on the termination or expiry of this Agreement.